Dedicated to protecting the Sawmill Wetlands in perpetuity. The Sawmill wetlands are an emerald jewel in a jungle of concrete. These wetlands are considered high quality by the Ohio EPA and are some of the few remaining wetlands within I-270. The Sawmill wetlands are the only large publicly accessible green space in the area. It has a breeding population of smallmouth salamanders and a type of insect (a midge) that has not been recorded anywhere else in Ohio. The Sawmill Wetlands is located at the intersection of Bent Tree Blvd and Federated Blvd. Currently, the park is only open by appointment. You can contact the ODNR to ask for permission to gain access to the park. The Friends of the Sawmill Wetlands have permission to open the park one weekend a month for Sawmill Saturday’s. I could not find an address or directions for the Sawmill Wetlands. Can anyone come to see them? What are the hours of visitation? Are there hiking trails? The Sawmill Wetlands is located at the intersection of Bent Tree Blvd and Federated Blvd, just off of Sawmill Rd. Currently, the wetlands is only open by appointment. If you would like to visit the wetlands, you can call ODNR to get access. 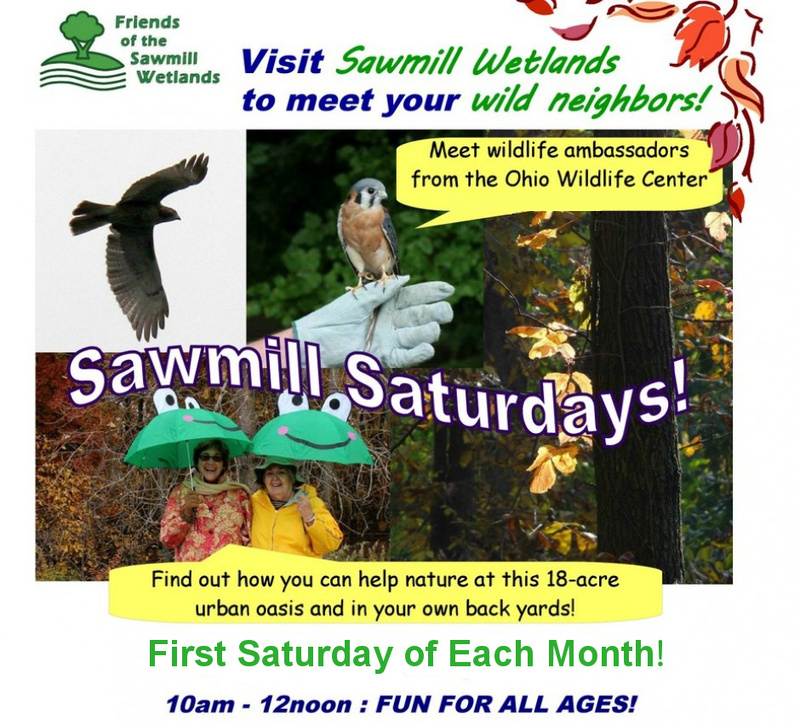 However, the Friends of the Sawmill Wetlands have set up Sawmill Saturdays where the park is open from 10 am to noon. The next one will be on July 13. We have been given one saturday a month to open the park to the public. We are working to get more public access to the park. There is a boardwalk that goes from one side to the other. We hope to see you at the next sawmill saturday!! Is the boardwalk wheelchair accessible? I am considering attending next Saturday. Yes the boardwalk has been navigated by wheelchair with support getting on and off (and in one location between which we are hoping to fix soon), please come along 1st Saturday’s in 2014! there will always be one of us around to help.